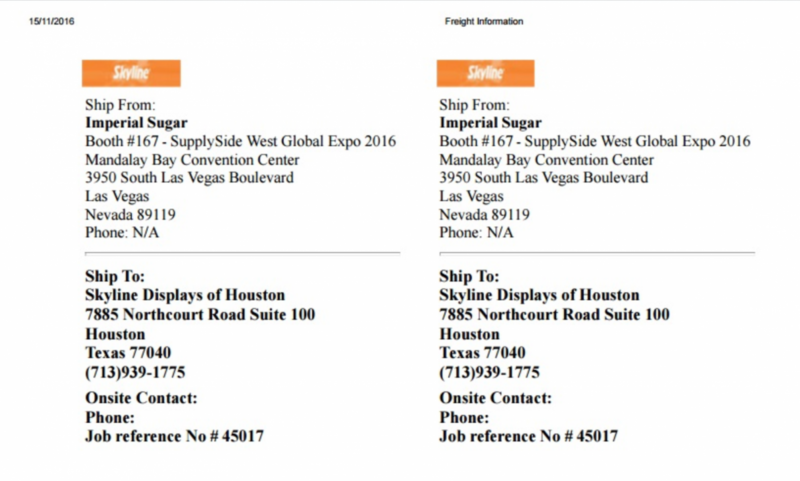 Building and servicing thousands of trade show exhibits annually requires an intense team effort linking customers, vendors and many internal people/departments. 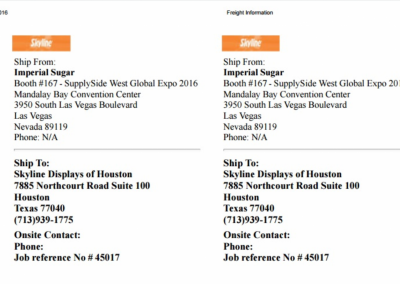 Before ExhibitPower, our own sales people used paper “Blue Sheets” to initiate an order. 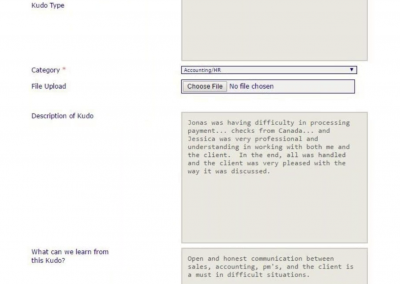 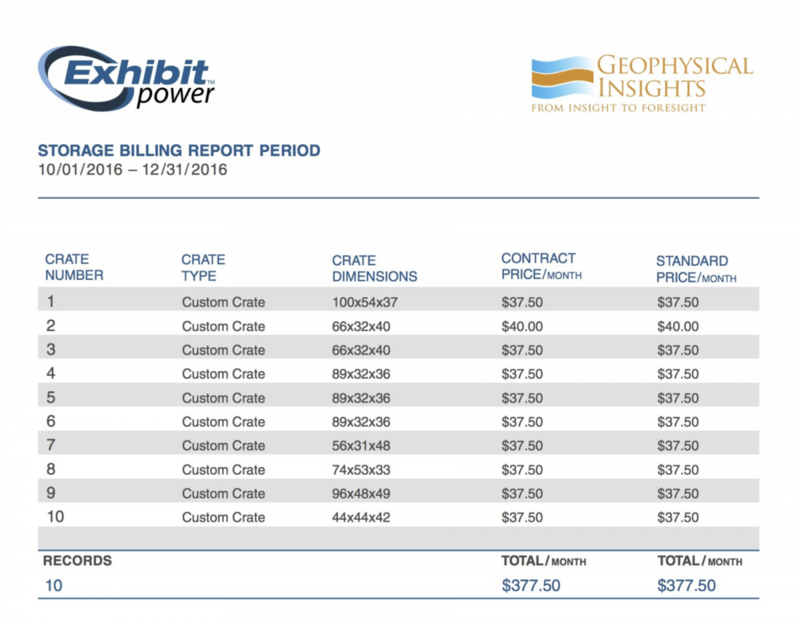 From there it turned into a veritable cascade of emails, spreadsheets, paper forms, verbal communications (not always calm) and running around the office; all of which were required just to produce an exhibit and correctly invoice the client. 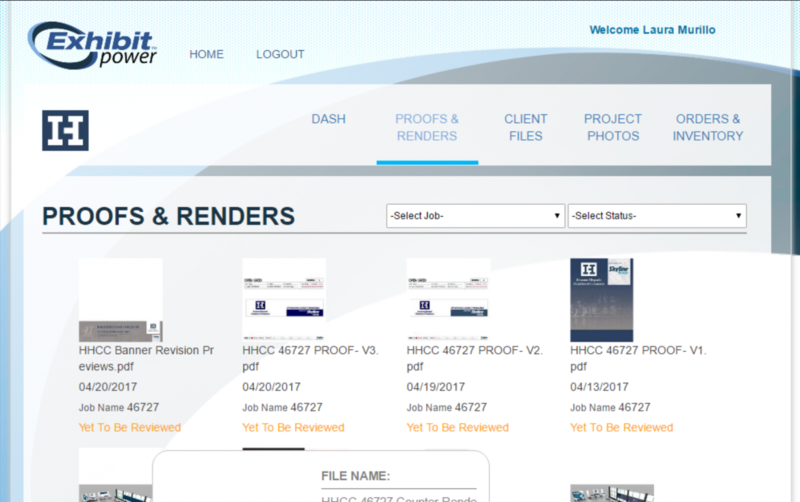 If the order was to be repeated, in theory we could find all the required information in a manila folder…right? 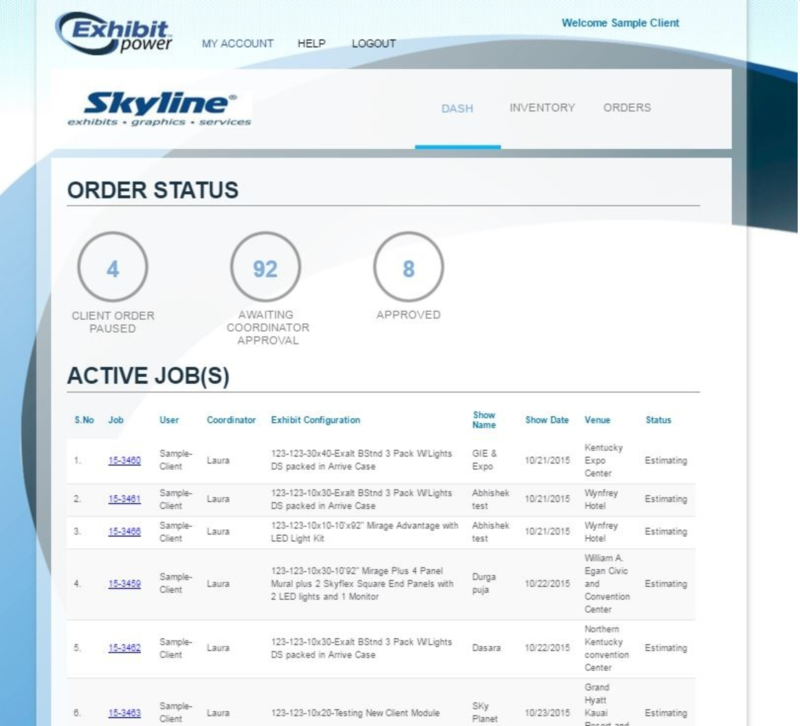 If this sounds familiar, your organization may be a candidate for ExhibitPower! 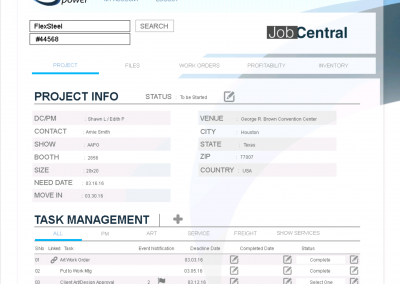 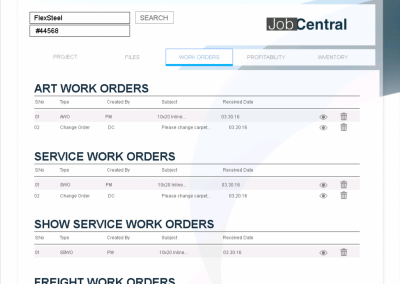 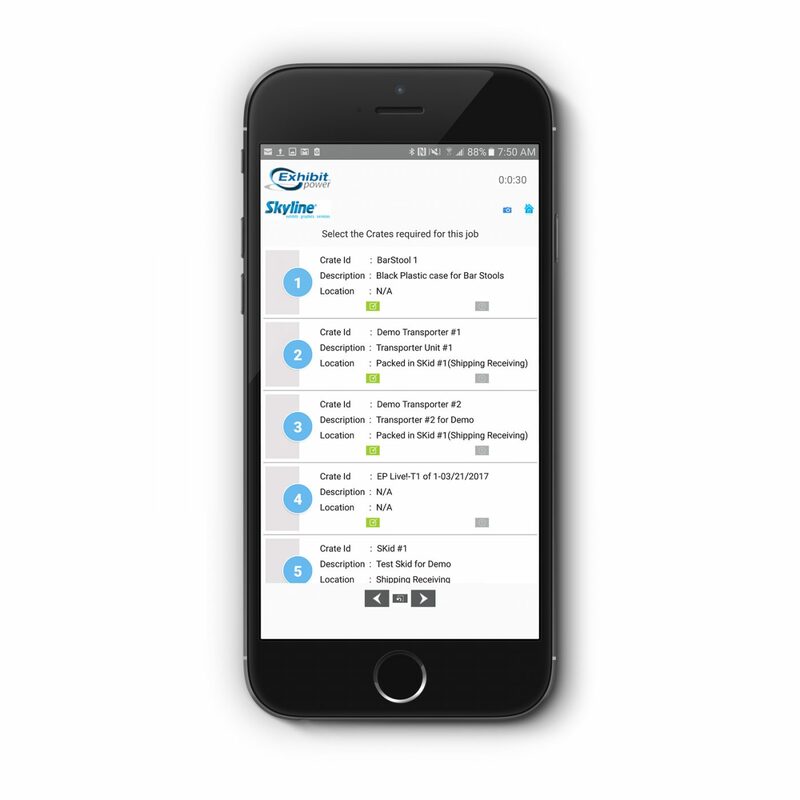 Manage all aspects of a job from Job Central; the holistic, dashboard overview for each job featuring automated task planning, timeline, work orders and even profitability. 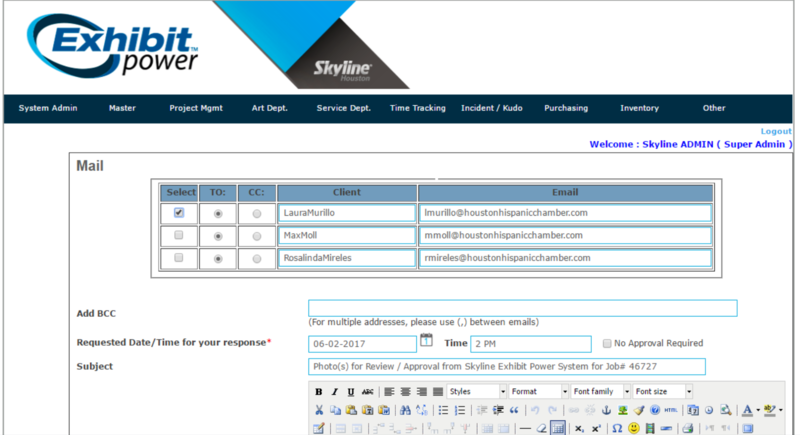 No more problems with FTP, Hightail, etc. 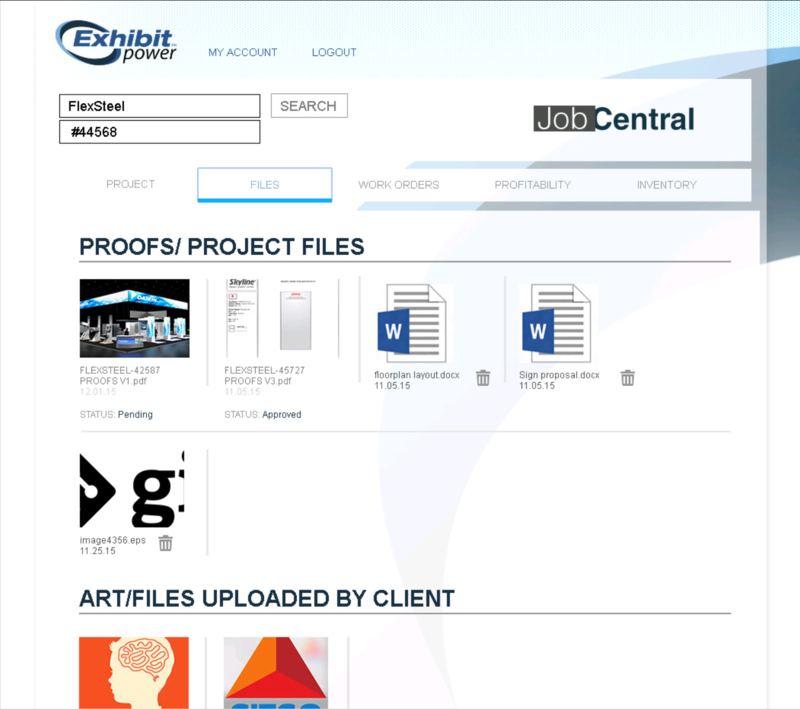 Clients upload their artwork and approve proofs and renderings directly within ExhibitPower. 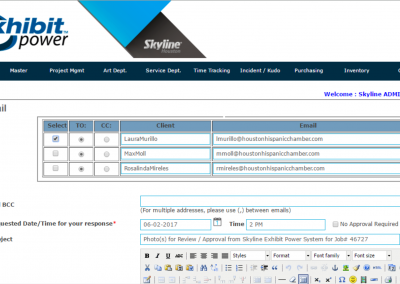 No usernames or passwords to remember; simply click the link from a system generated email. 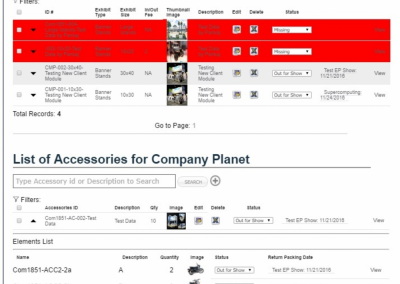 Staging and show floor photos are uploaded directly from the Technician App, then shared with clients for review and/or approval. 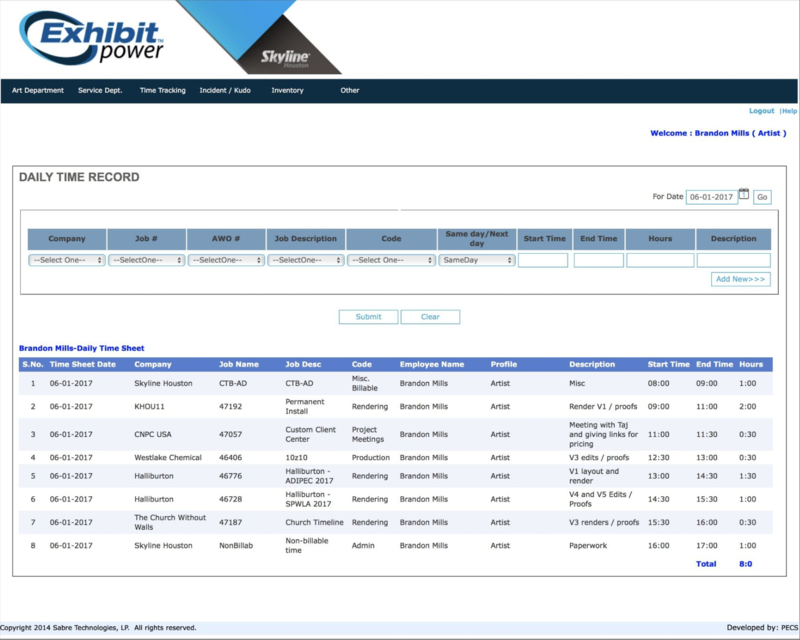 Customers log in to ExhibitPower’s sleek interface to interact with their exhibits, accessories and graphics. 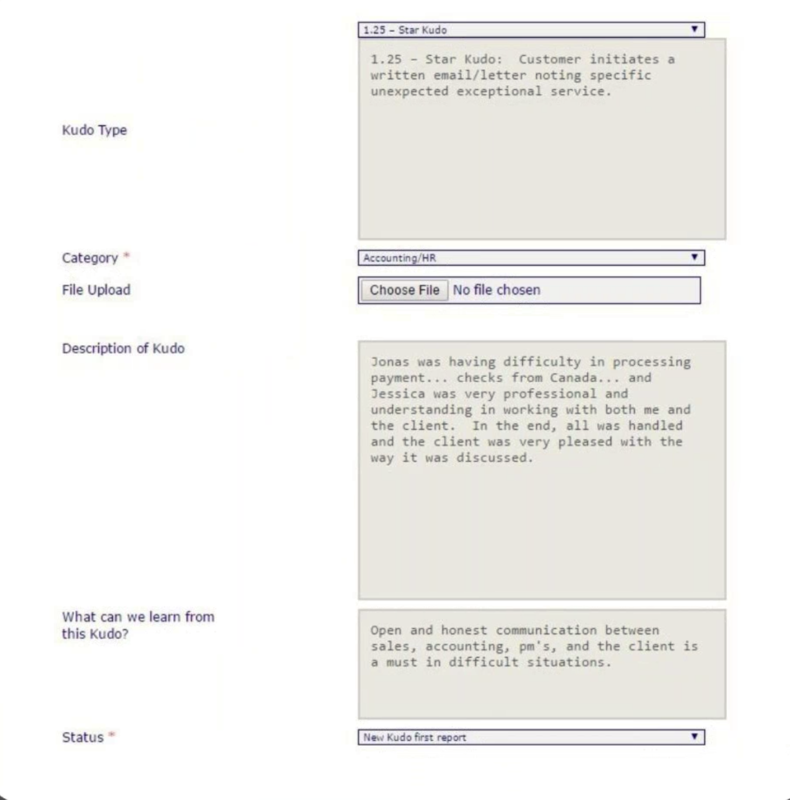 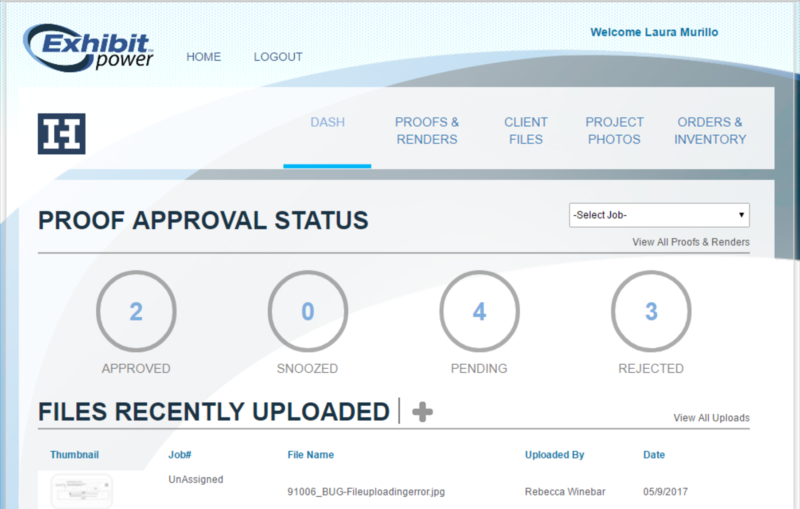 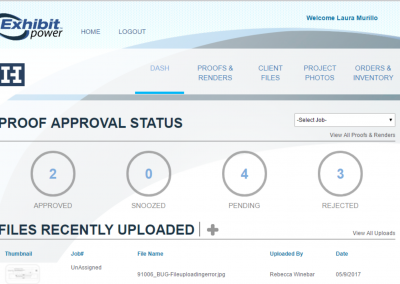 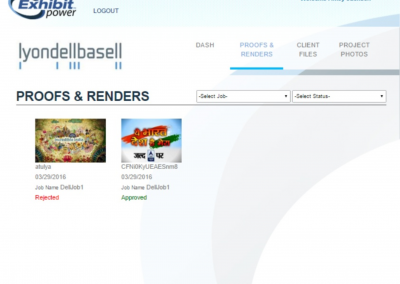 Artwork is uploaded, discussed and approved through the Client Art module. 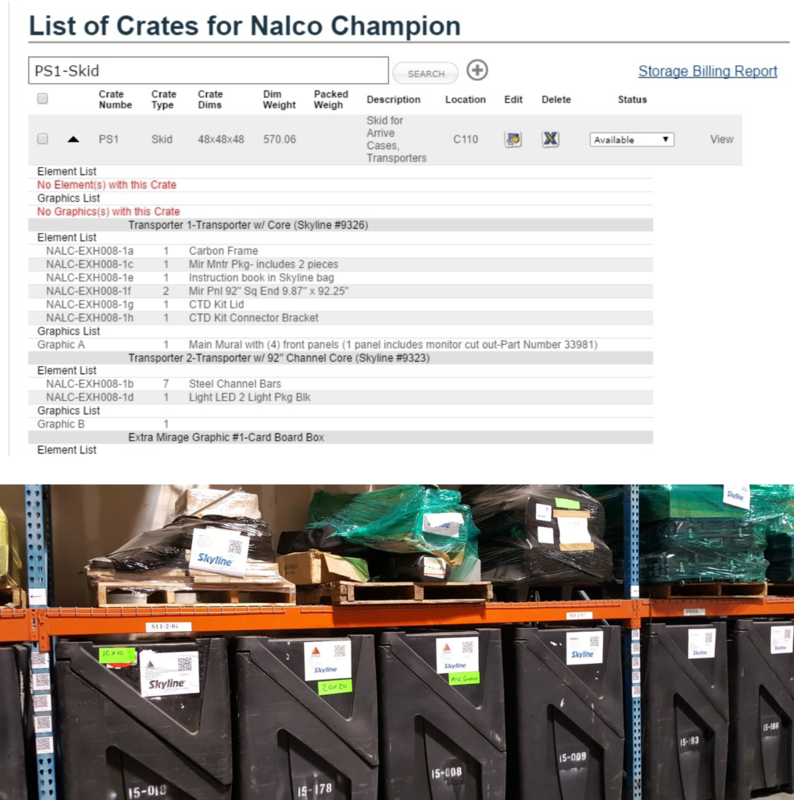 Warehouse operations run smoothly with a full inventory – from client’s properties to in-house rental items. 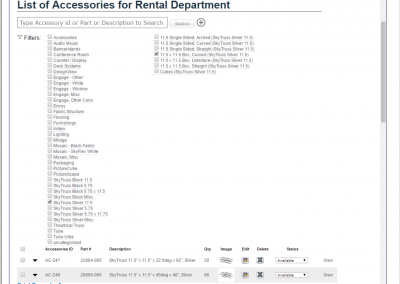 Inventory is constantly, automatically updated with each item’s current location. 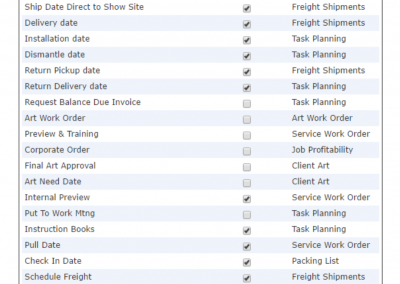 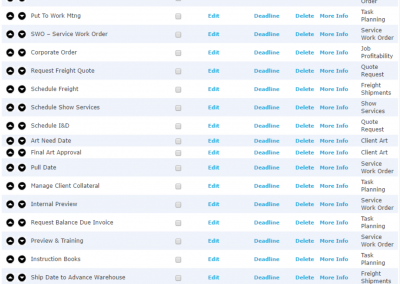 Packing lists streamline operations, slashing the amount of time it takes to prepare each shipment. 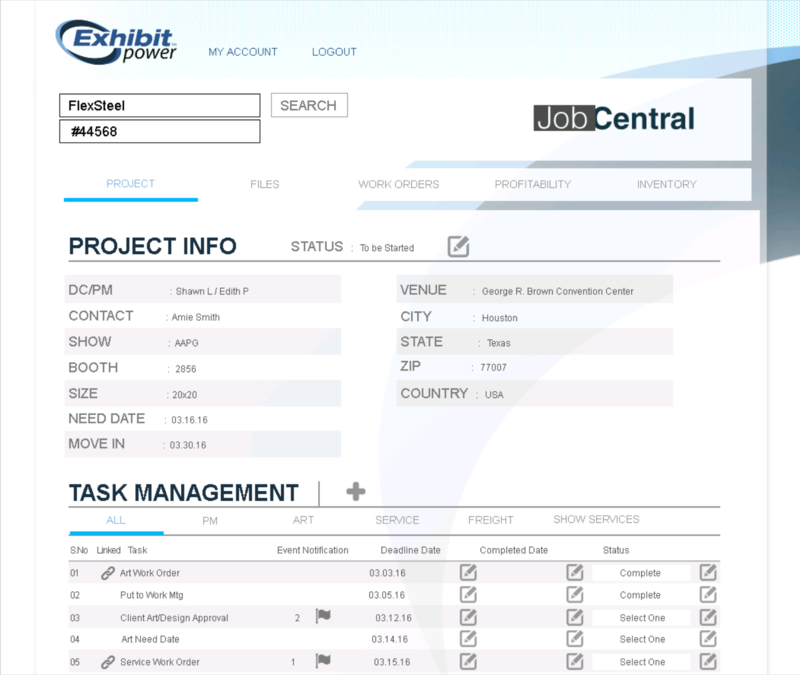 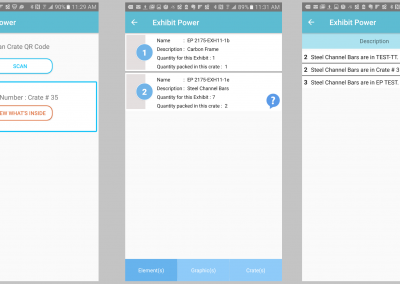 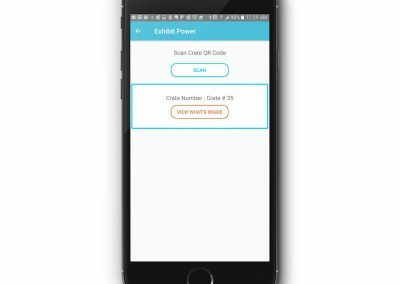 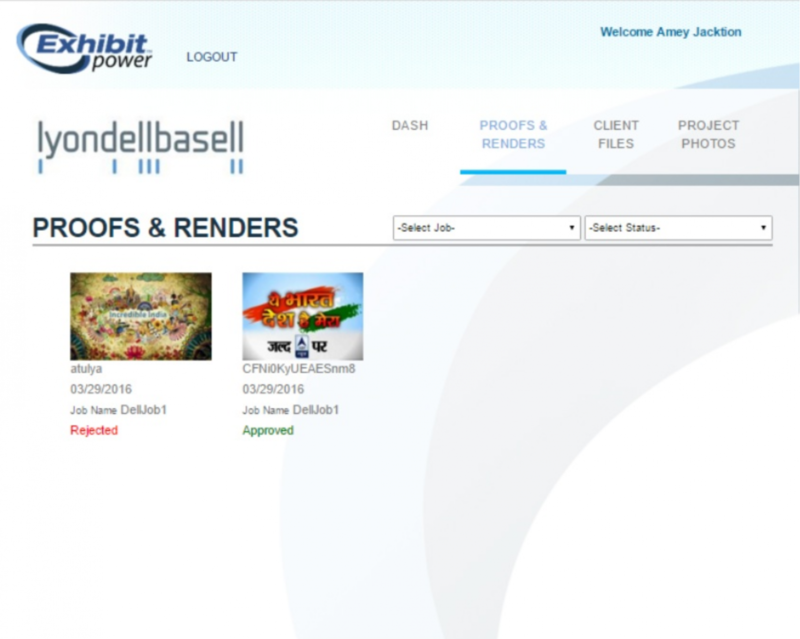 ExhibitPower comes pre-configured with most rental items. 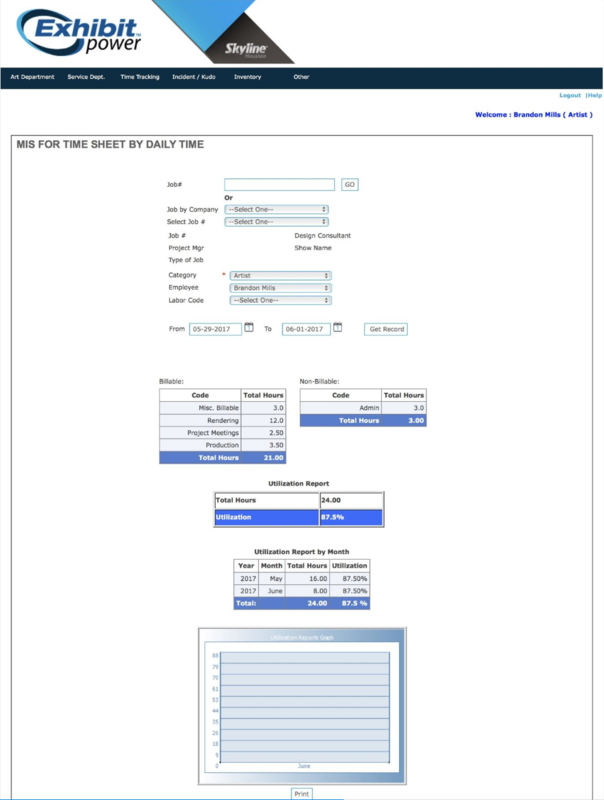 Simply adjust the quantities to match your inventory. 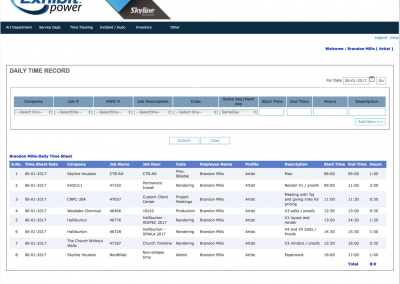 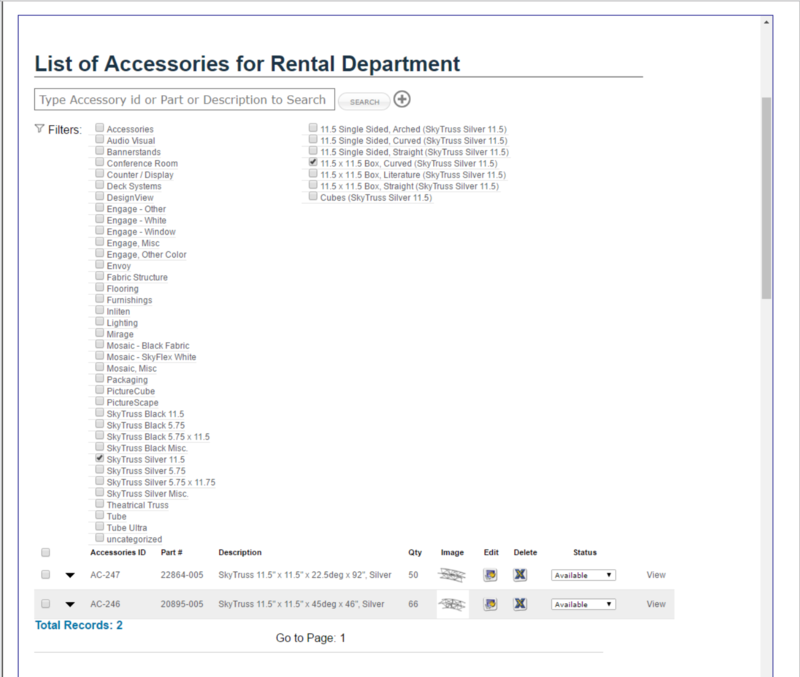 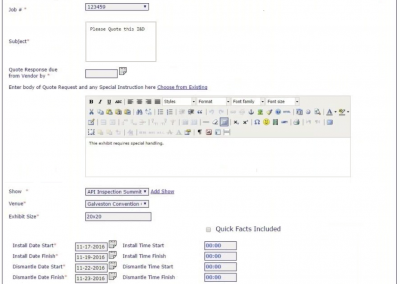 Comprehensive Rental Inventory management includes availability, rental history, damage reports and more. 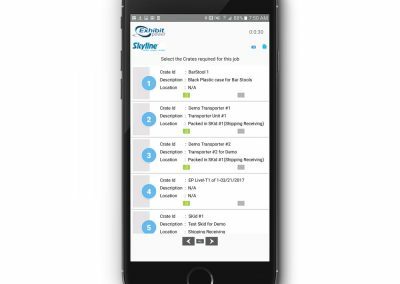 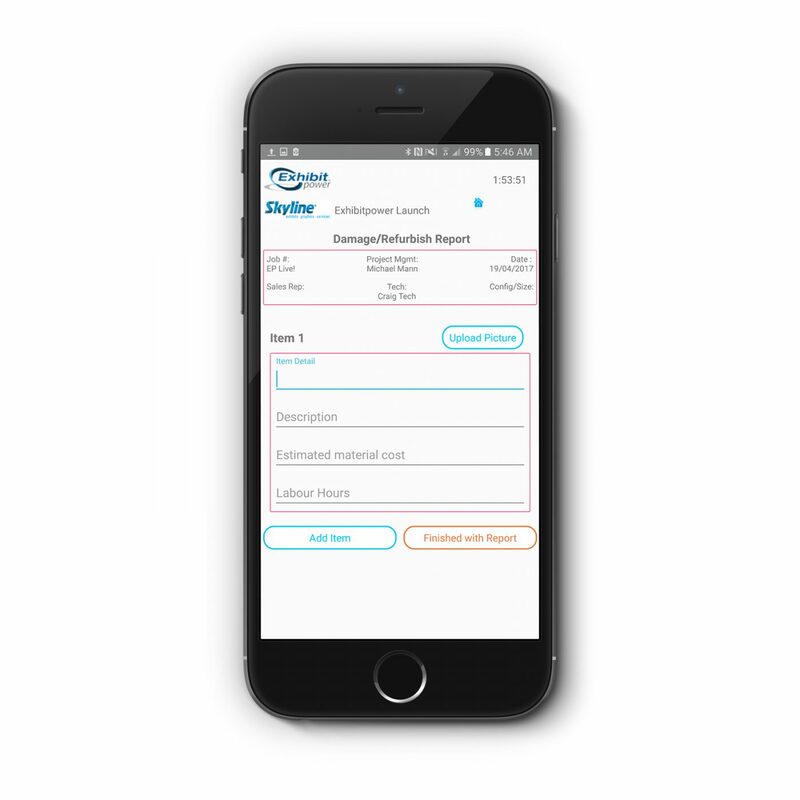 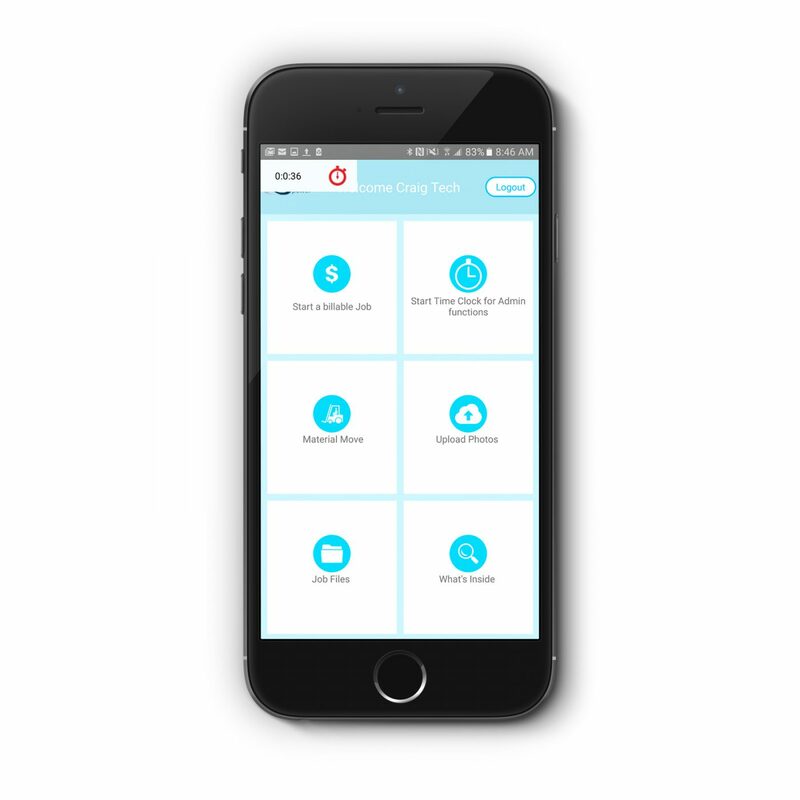 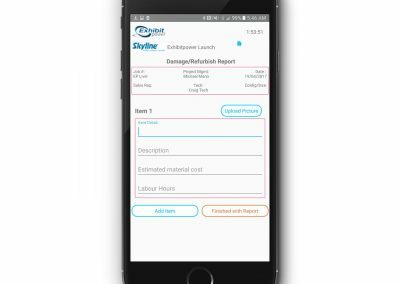 The Technician App helps Service Technicians easily track time spent on each job and makes it simple to add photos along the way. 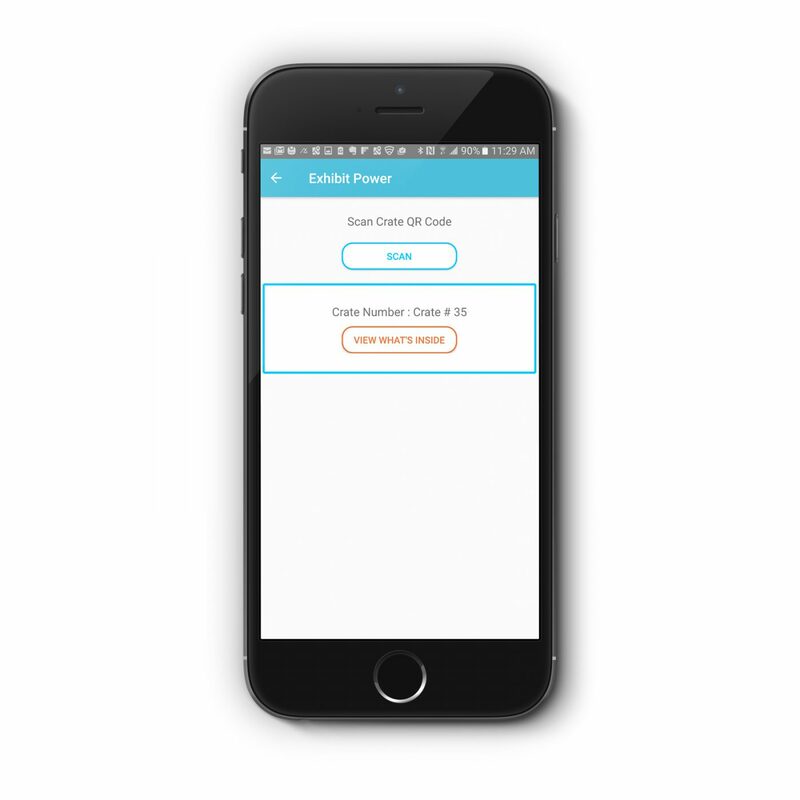 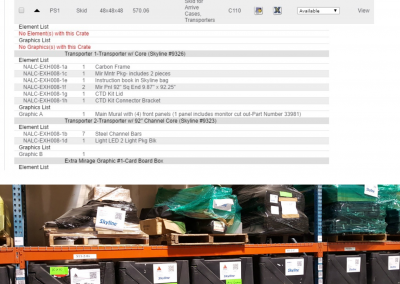 The App works in tandem with the Inventory Module to track the current location of each item as it moves throughout the warehouse, to shipping, to show site and back. 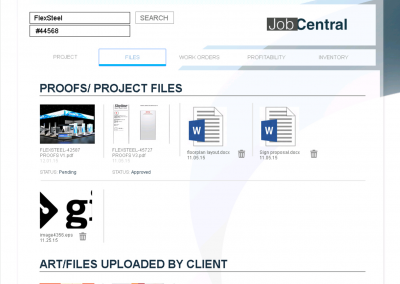 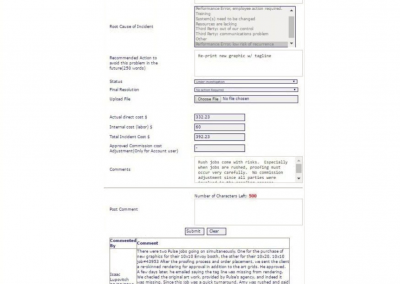 Vendor ratings, reviews and history make it easy to find the best vendor for the job. 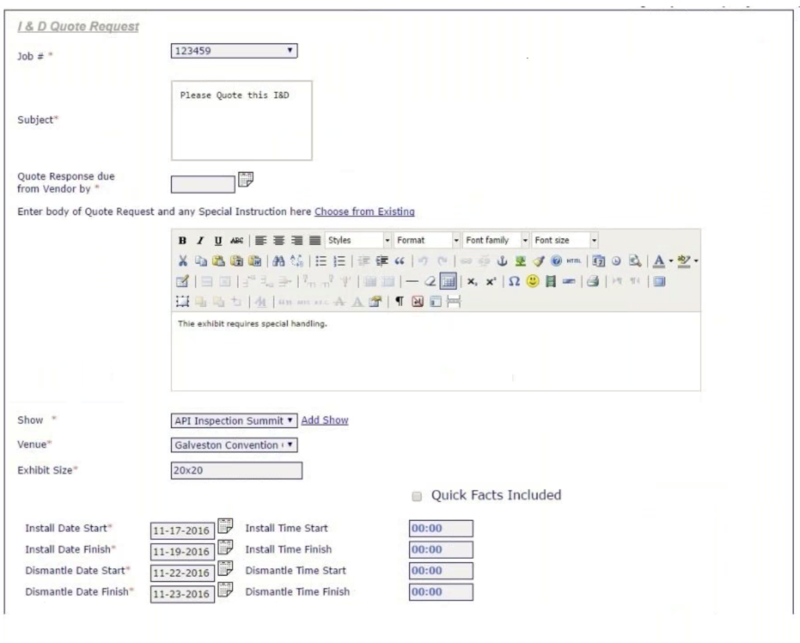 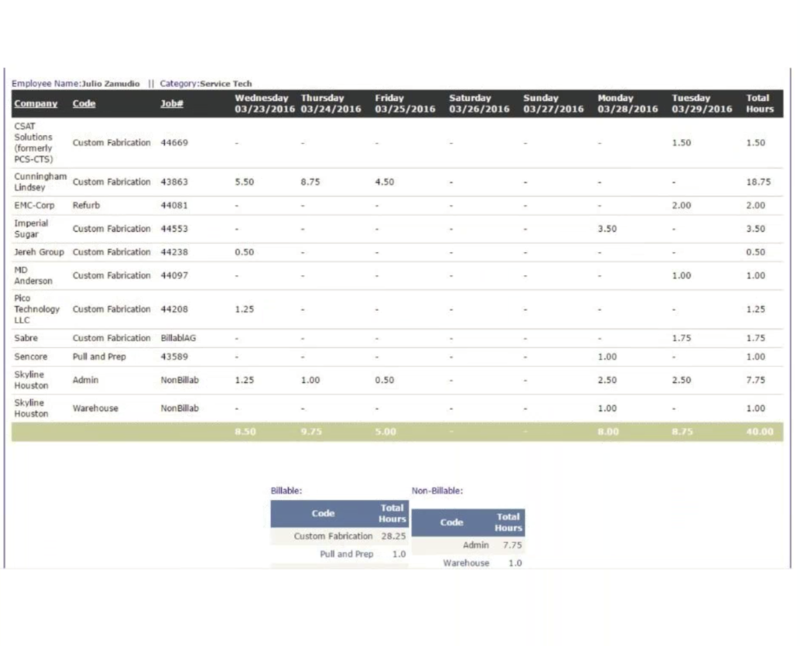 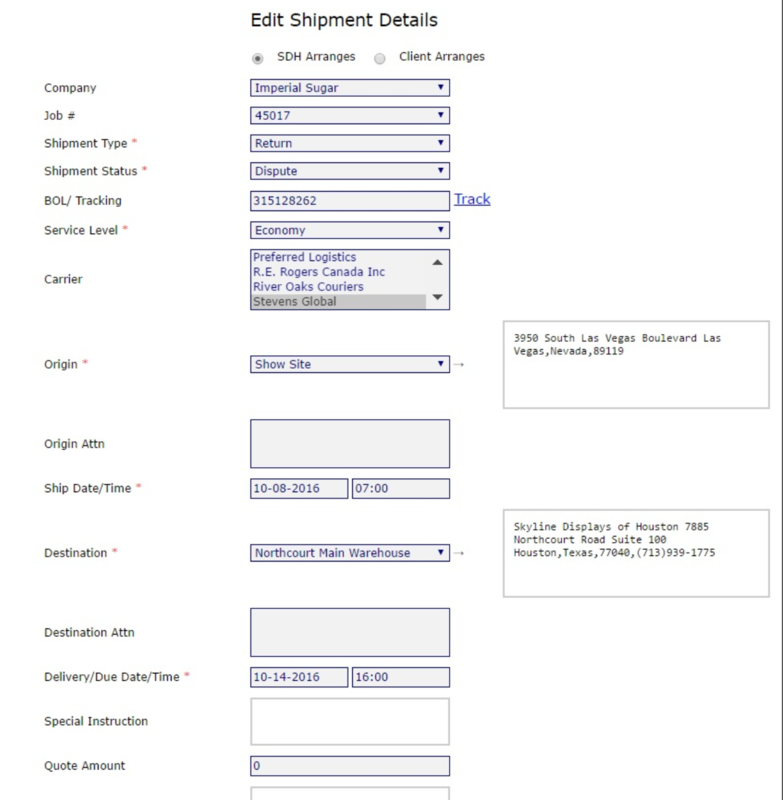 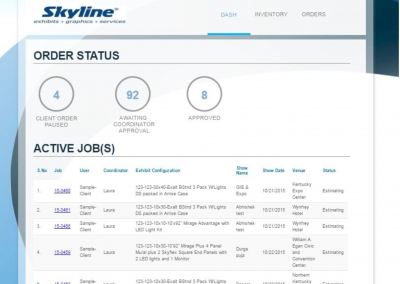 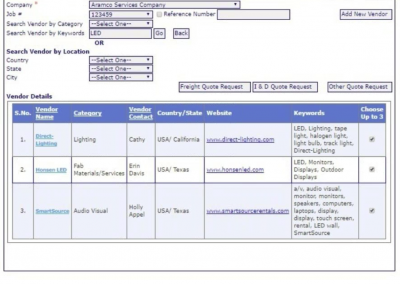 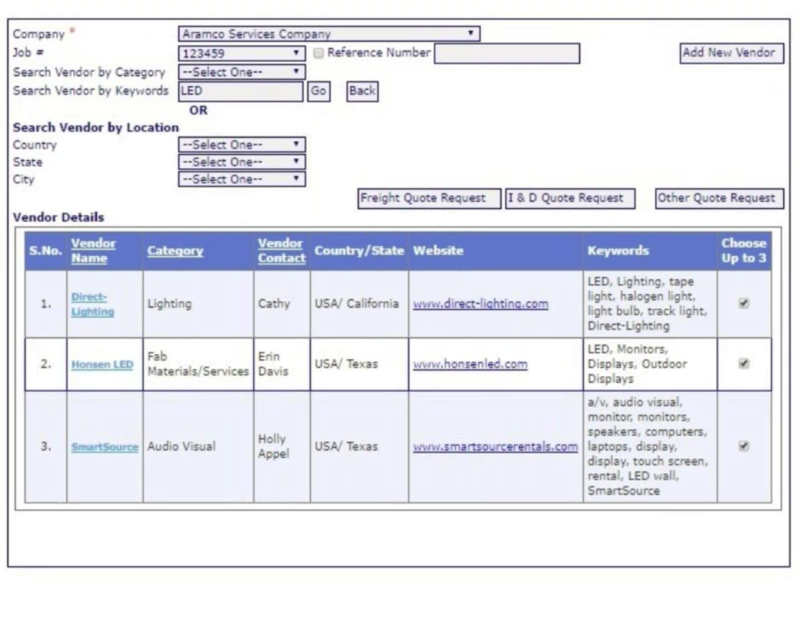 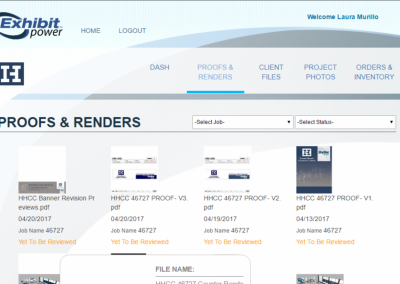 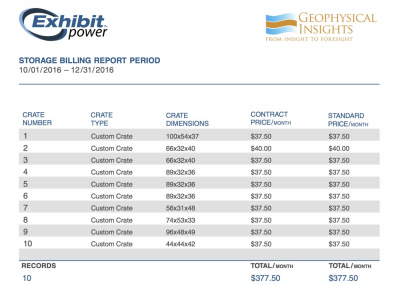 The Purchasing Module makes it easy to request quotes from multiple vendors at once and to track the status of each request – from Quote to Purchase Order. 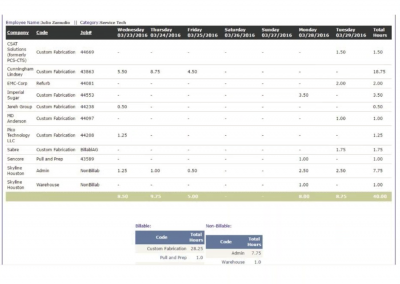 Utilization is easily tracked. 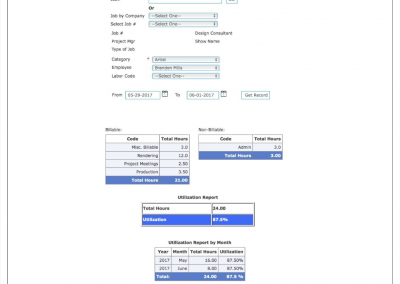 Billable versus non-billable hours track utilization by department or by employee. 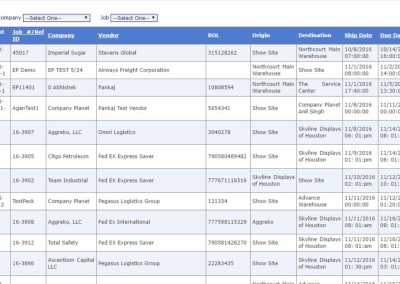 Kudos and Incidents are reported, categorized and tracked to understand trends over time. 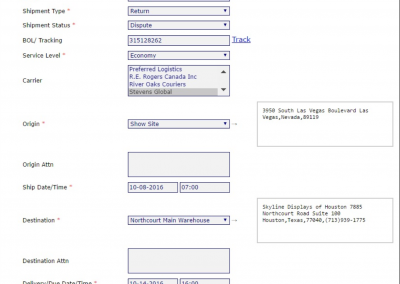 Inbound and outbound freight is tracked and logged on a daily basis. 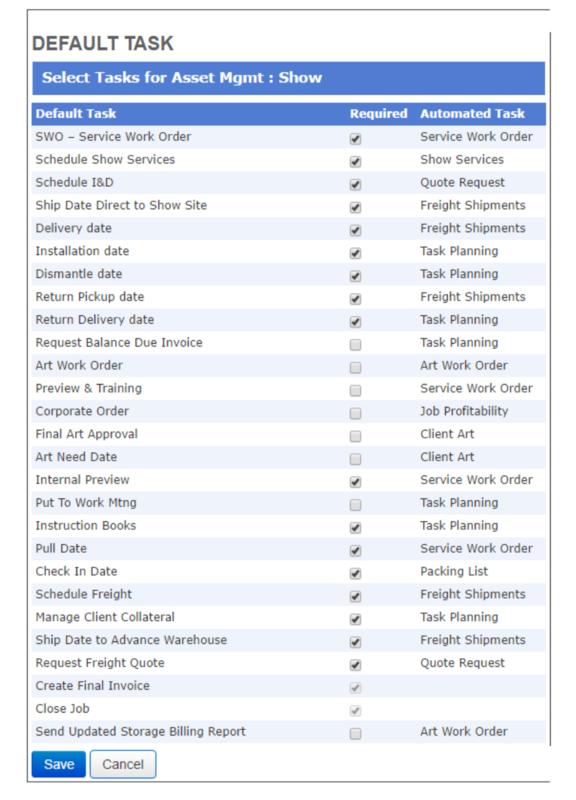 Expected Receiving alerts the Freight Department to incoming shipments and their urgency. 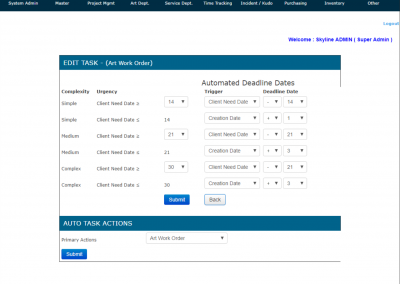 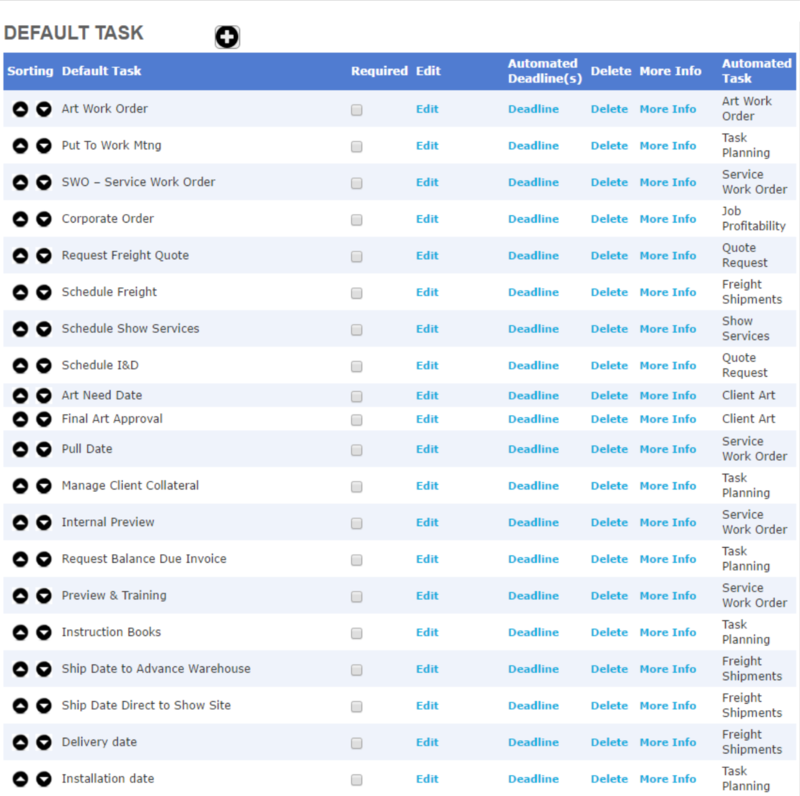 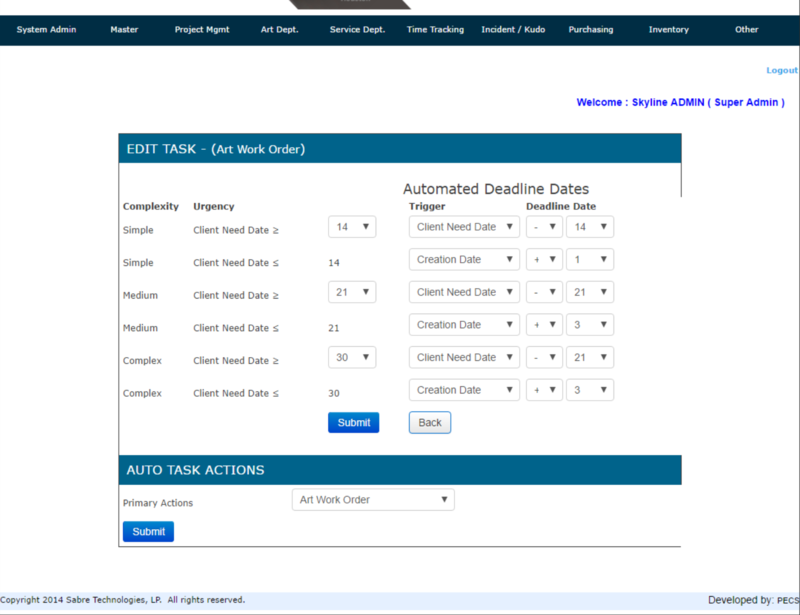 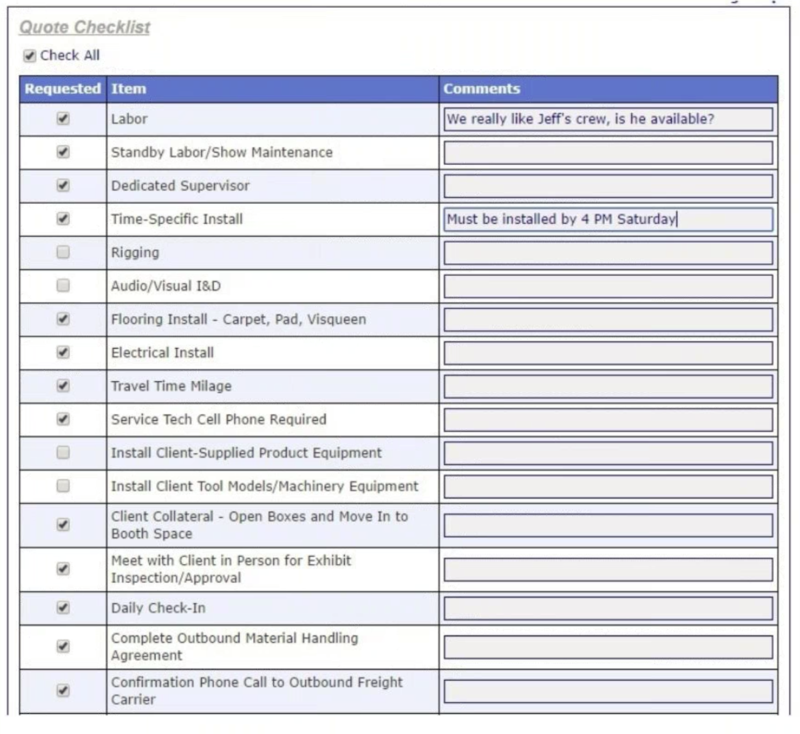 Sophisticated date logic automatically generates a unique task plan for every job, and rolls up the tasks to a Daily Task Priority report for each user. 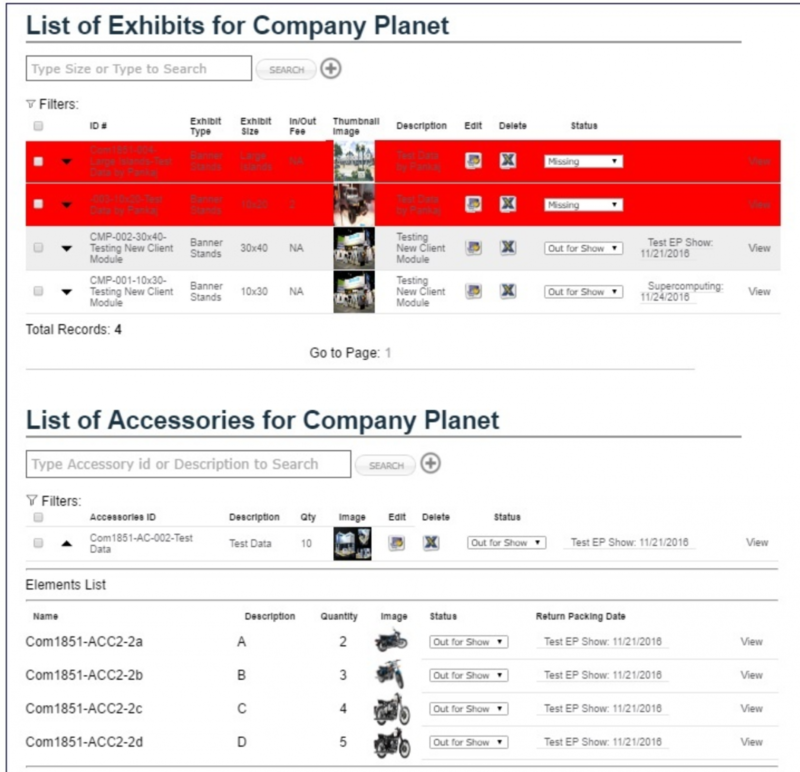 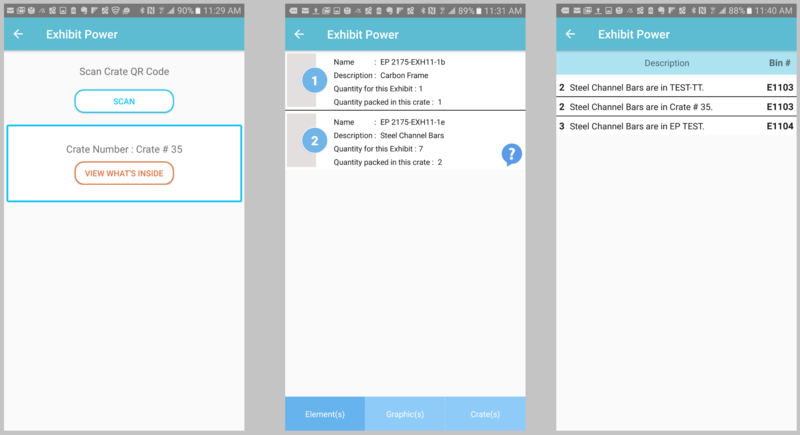 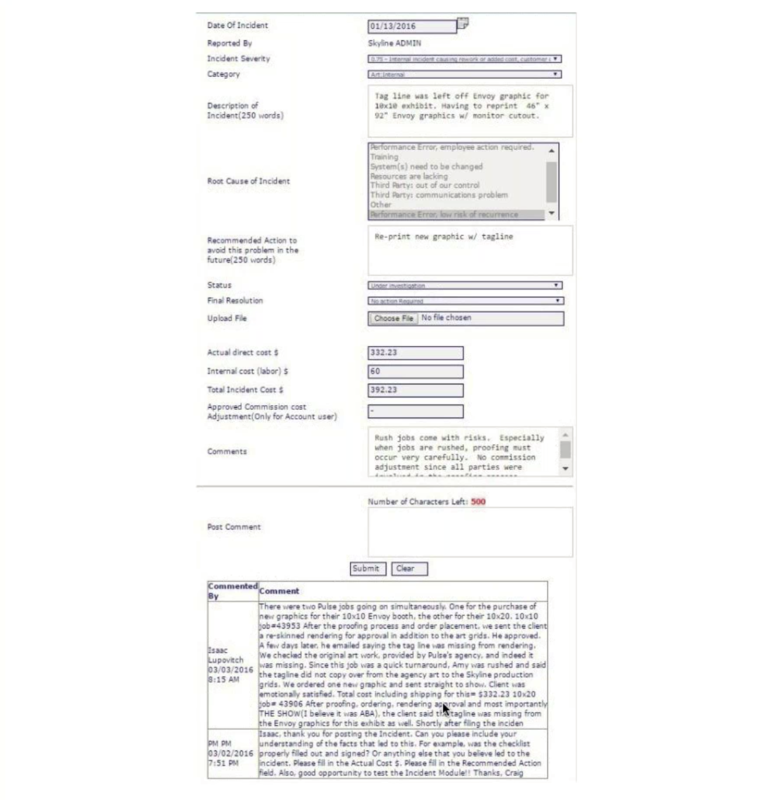 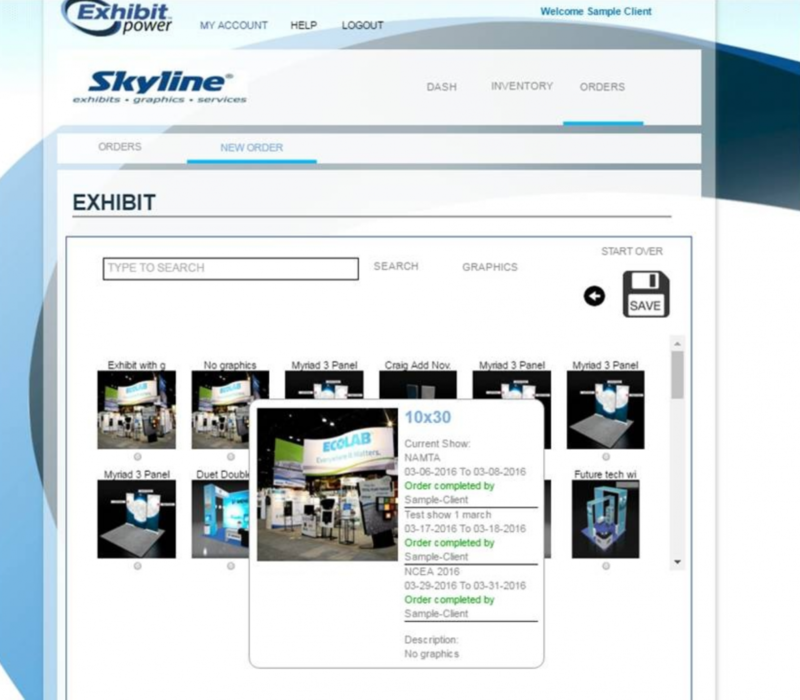 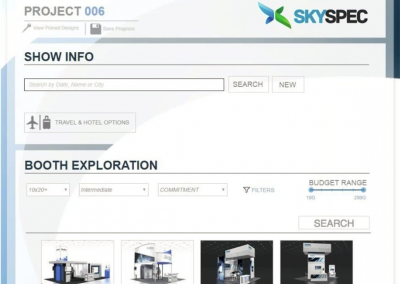 Navigation to the 19 different modules in ExhibitPower is only one click away. 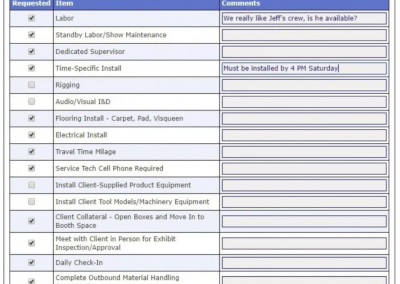 Accurate estimates, QUICKLY. 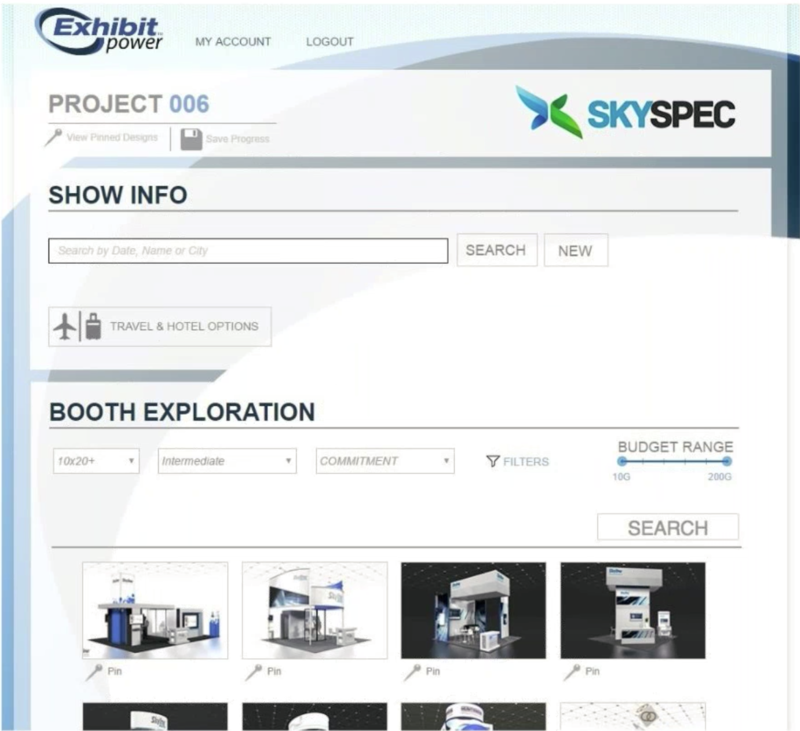 SkySpec will learn the average costs of all characteristics of a booth and will provide accurate estimates based on those characteristics. 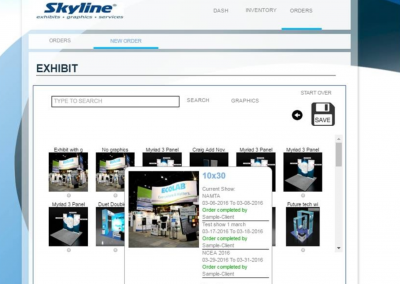 Customers can browse through the Design Library to see examples of booths in their price range.